Lee Chong Wei the leading man in the Badminton most of the sponsor holder and one of the highest paid and earners in the Badminton. Today he is the best and most times champion. Lin Dan the Chinese star who is chasing the living legend Lee Chong Wei. Badminton is mostly popular among the Asian athletes. India has recently authorized IBPF League (Indian Badminton League). Sania Nehwal, Wang Yihan also named in the list. Chen lung star chinez, care a câştigat faima în foarte scurt timp el este lider jucător şi aproape câştiga multe titluri câştigurile sale sunt creşte după fiecare eveniment. Jwala Gutta is included in the list due to her salary in Indian Badminton League and her performances in the different, she is the gold medal list in the Delhi Games 2014. Mostly Chinese stars are dominating the league of the Badminton. Wang Yihan is one of them she has been a tough competition to the opponents. She is best and highest rated Badminton stars. 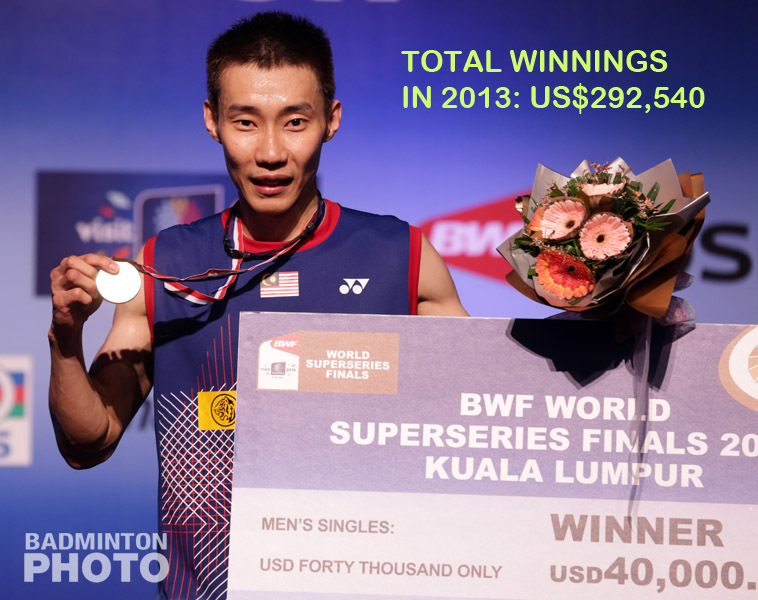 Chen Long the Chinese star who has earned fame in very short time he is leading player and almost win many titles his earnings are increase after each event.